Lovely Lady Keely hosts our Sunday fun with GTKY! Won't you please play along? Just pop over to Keely's place, and link up! Oh, and while you're at it, she's having a pretty stellar giveaway. You might think about hitting her up for that while you're there! ~~~Mmmm... 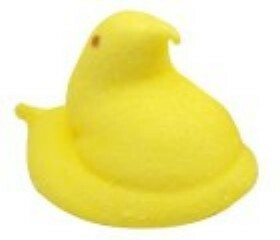 I love Easter candy of all type, being the open, non-discriminatory girl I am, but I love me some classic Peeps. Yummo! ~~~Big Daddy is generally cleaner than I am. I think it depends on the territory, but in truth, I lose to the hubs hands down. Men. ~~~You know, I'm a fan of picture-y posts, which is pretty funny, 'cause I don't end up using pics as much as I would like. Sometimes, though, there are posts that really just need to be wordy. And that's ok! ~~~Not so much. I had a great group of friends, who were and still are awesome, but "popular" would likely not describe me. ~~~Again with the unders! Not a big girl (SO ok with that!) I'm a B, and probably a smallish one at that. ~~~I have kind of been a not good bloggy friend lately, and have had at least a few days where I've not read ANY all day. I use the heck outta my Google Reader. ~~~I'm a PB kind of gal. I'm scared to do the Nutella. I have a bit of an addictive personality, and, well, that's just inviting trouble! Ok, TAG - you're it! 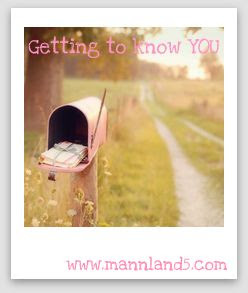 Be sure to pop over to Keely's at www.mannland5.com and link up! Images procured via Google Images. Another Peep eater! I didn't know people actually ate them. Not that I would have any idea of the taste, never tried 'em. Probably never will. Hope you have a great day girl... I Know you are ready for things to slow down a little bit.. wont be long!